Pratt & Whitney and Mitsubishi Heavy Industries Aero Engines Ltd. (MHIAEL) achieved a significant production milestone on the Pratt & Whitney GTF PW1200G engine, which is to be used to power the Mitsubishi Regional Jet (MRJ), Japan's first jet aircraft developed by Mitsubishi Aircraft Corporation. 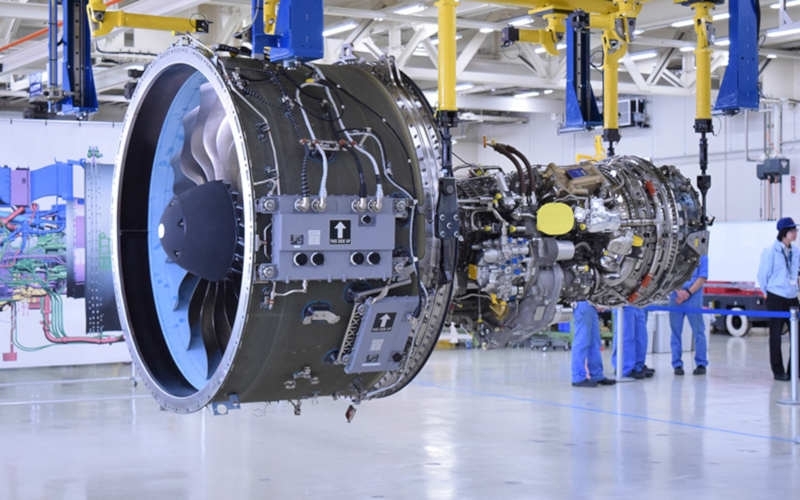 The first PW1200G engine assembly was completed at MHIAEL facility in Komaki, Japan, and successfully passed Pratt & Whitney’s production acceptance test. The first engine produced at the facility is designated to be used in the MRJ flight test program. Mitsubishi explains these are important accomplishments on the road to PW1200G production readiness. The MHIAEL facility in Komaki will be one of two production assembly and test sites for the PW1200G engine. The engine is also assembled and tested at Pratt & Whitney’s Mirabel Aerospace Centre near Montreal. MHIAEL was established in 2014. The MRJ is Mitsubishi Aircraft’s next generation regional jet, powered exclusively by Pratt & Whitney GTF engines. The MRJ aircraft is currently flight testing and Mitsubishi Aircraft anticipates the first delivery in mid-2020. Pratt & Whitney explains the GTF engine’s geared fan architecture enables double digit reductions in fuel consumption, noise footprint and regulated emissions. Pratt & Whitney is investing more than $2.5 billion in modern manufacturing and aftermarket technology to transform its U.S. and global footprint.